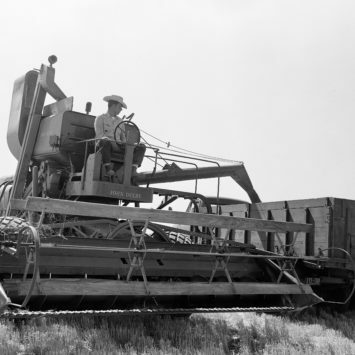 The John Deere 55H Combine was equipped to harvest on steep slopes and hillsides with ease. 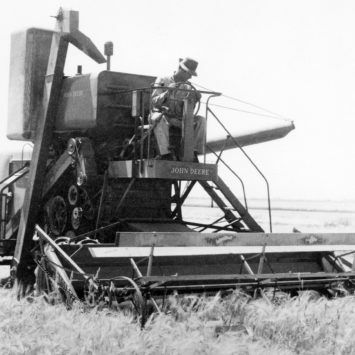 1947 55H Combine harvesting a field of barley. 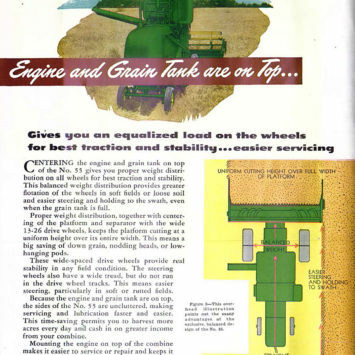 This 1949 advertising literature highlights engine and grain tank placement. Today's S690 combines feature 543 horsepower at rated speed and 617 horsepower at peak power. 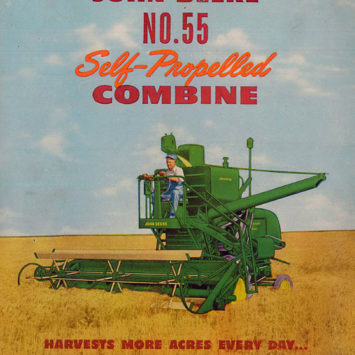 This 1949 advertising literature highlights the combine's 45 bushel grain tank. 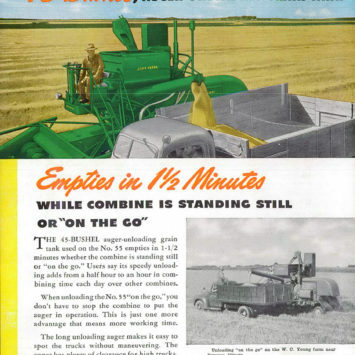 Today's S680 and S690 combines feature a 400 bushel grain tank. If you enjoyed this video, be sure to check out some of the other products featured in this series. 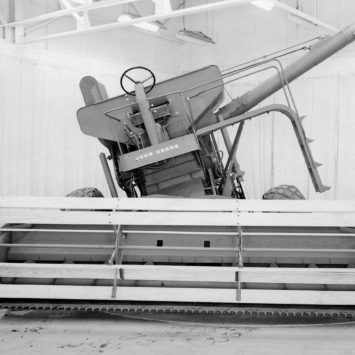 Out of the Vault Series: What's New for 52?